Hi. We're back with another Me Moment. Today we'd like to talk to you about Safco's hospitality service carts. Extend your hospitality to all of your guests with these service carts. The drop-leaf design creates extra serving space so you have plenty of room for your beverages, utensils, and all your important food items. The cart features a locking door with a height-adjustable interior shelf. The storage space is great for extra service items or even cleaning supplies, because you never know when a spill might happen. I personally love the spacious drawer. We store supplies like silverware, napkins, but also coffee packs and tea, and even candy treats. Isn't is the time to welcome your guests the best way you know how? Thank you for joining us for this Me Moment. Please join us again to find out how Safco can help you work hard and play harder. Provide a warm welcome to your guests with the help of a hospitality service cart from Safco. Designed with a drop-leaf for plenty of surface space, this cart features a locking cabinet and spacious drawer for beverage supplies and snacks. Whether at a hotel or a conference center, this service cart makes it easy to show guests that you care. 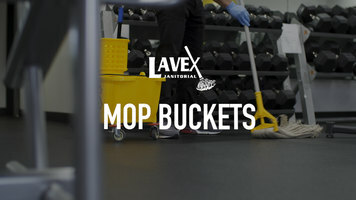 Whether you need to clean a large lobby, a busy kitchen, or a small break room, Lavex Janitorial mop buckets are a great cost-effective solution for your business. Offered in 7 different colors, these mop buckets can help you introduce a color-coded cleaning system, in conjunction with your business's HACCP plan, to take the guesswork out of your establishment's safety initiatives. 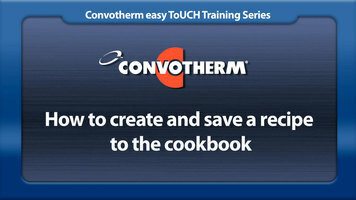 Learn how to create and save a recipe using Convotherm Easy ToUCH controls with this quick video! A look at the TXM-15 manual tortilla press from DoughXpress.